They can be accessed through corresponding mobile apps. Image: Apple Researchers have been putting up fliers around college campuses and city centers to get people to participate in medical studies for decades. But the methods for obtaining this type of quantitative data has always been a challenge and has been largely unchanged. But now Apple is involved. As a part of a major effort to help researchers learn more about various diseases like Parkinson’s and diabetes, Apple announced earlier this week its vision for collecting data from patients via iPhone. Because the device is sensor-laden and is usually kept in a pocket, data isn’t collected every three or so months like in many research trials; the tool will update with new information every few seconds. 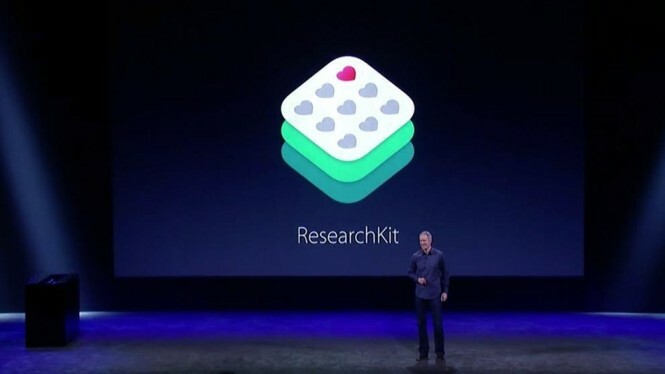 ResearchKit, which is what the tool is called, works with Apple’s existing HealthKit platform. Patients with certain conditions can opt in to participate in various clinical studies and surveys (daily, weekly, monthly and so on) that can be evaluated and analyzed by medical researchers. The goal is to ultimately improve patients’ health and the ability to care for them. […] Nowhere is this more prevalent than in the field of education. In fact, there are so many “terms du jour” thrown around, tweeted and traded these days that their intrinsic value is often questionable, and confusing. Take the terms differentiated, individualized and personalized. What can we make of these three near synonyms? Short answer: Plenty! Modern classrooms are teeming with students of varying interests, backgrounds, abilities and learning needs. To engage these students, learning must be every bit as diverse as they are. In the ISTE/Intel Education book Personalized Learning: A Guide for Engaging Students with Technology, which I wrote with my colleague, Peggy Grant, we tease out the crucial nuances that distinguish these terms in an attempt to demystify the approaches they refer to so that educators may better initiate more effective learning techniques.